Iza Szanfraniec from Wroclaw, Poland, a 2014 certified graduate of the School of Supernatural Children’s Ministry, had our attention on for several years as we recognized the fruit and anointing on her life and ministry. This woman was burning up to lead her nation with the KIMI vision. She has been unofficially been preaching and teaching the KIMI messages every where the doors opened. 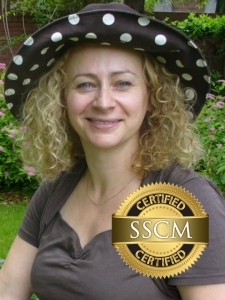 But we had to wait until she got through SSCM before we could offer her the position of KIMI Poland director, and we are thrilled she has accepted. Iza has taught in churches and ministries all over Poland as well countries in Europe, and Rwanda, Africa. Lives are transformed everywhere she goes. She has been a PowerClub leader where signs and wonders follow the children and loves teaching her children how to walk in intimacy with God. One of Iza’s true gifts is that of intercessor. “I am a person who in 1997 received revelation from God about His plans about how He wanted to touch and transform children and how much He wanted to touch the Church by those transformed children. I had no idea how it could happen until 11 years later I have met Becky and Pamela. They verbalized what I already had in my heart. Iza has been instrumental in leading us to two different Polish publisher who have since published two of our KIMI books into Polish. One was the Redefining Children’s Ministry book, and the other was the children’s book Monster’s in My Closet but Not for Long. 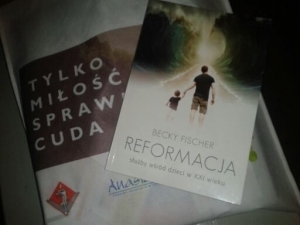 For help or information contact Iza at kimipoland@yahoo.com.